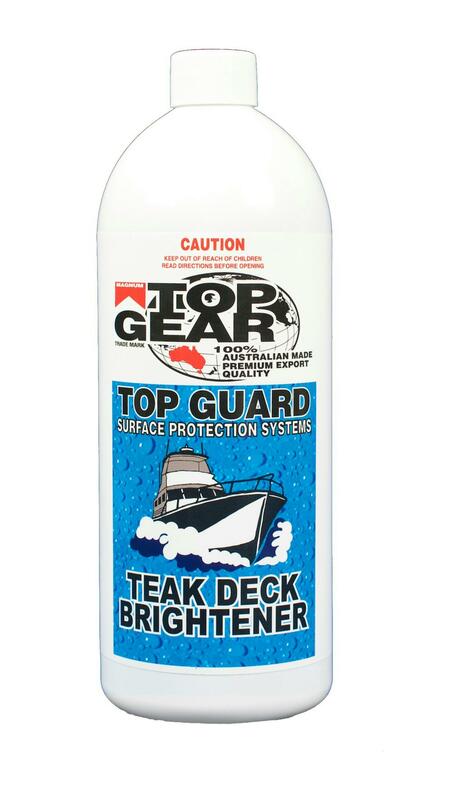 Top Gear Teak Deck Brightener is a neutralizer and brightener to be used only after the deck has been thoroughly washed. 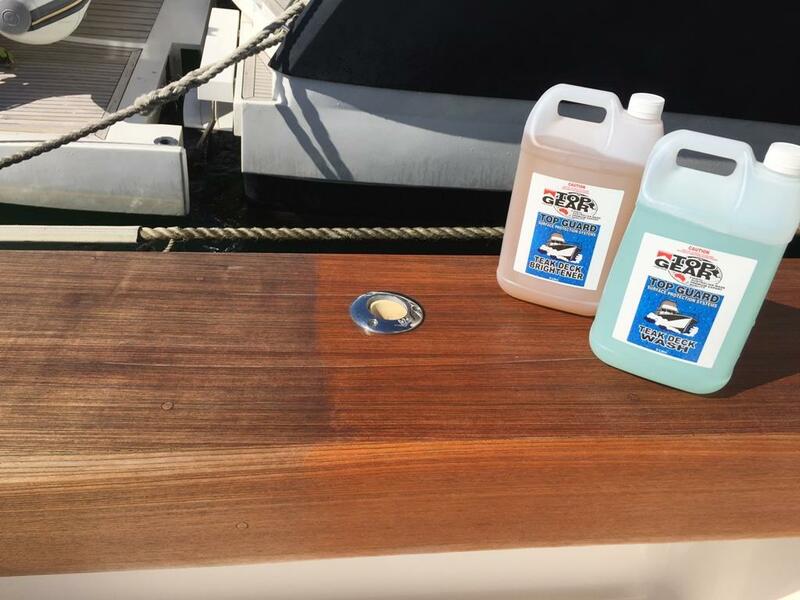 Teak Deck Brightener will brighten and restore the natural teak timber colour and enhance the overall look of your vessel. THE TEAK DECK SHOULD BE CLEANED WITH TEAK WASH PRIOR TO BRIGHTENING. WET SURFACE OF TEAK DECK. POUR TEAK BRIGHTENER INTO A BUCKET. 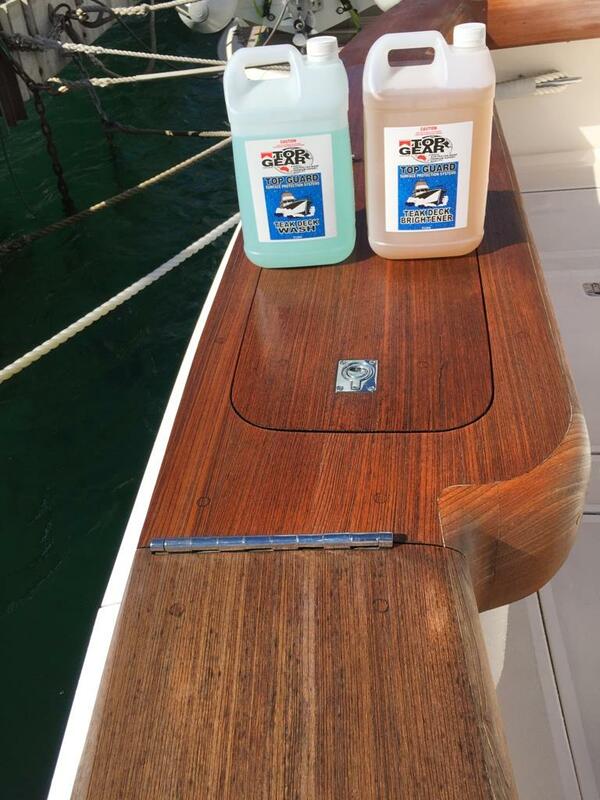 APPLY DIRECTLY TO TEAK USING TOP GEAR WHITE UTILITY PAD. THE UTILITY PAD SHOULD BE USED ACROSS THE GRAIN OF THE DECK FOR BEST RESULTS. WASH OFF WELL WITH CLEAN WATER. THE TEAK DECK CAN BE FURTHER ENHANCED BY USING TEAK SEALER.